One lucky McDonald's worker in Texas got his sneaker collection upgraded thanks to a chance encounter with Marshawn Lynch. The 17-year-old Terrance Downs told TMZ that Lynch showed up at his McDonald's location in Dallas last Sunday after the Seahawks' game against the Cowboys. They started talking and Downs told Lynch he liked his sneakers, a navy blue pair of Buscemis, and that he wanted to buy a pair. During their conversation Downs told Lynch he wanted to own a boutique one day, at which point Lynch decided to help him out. 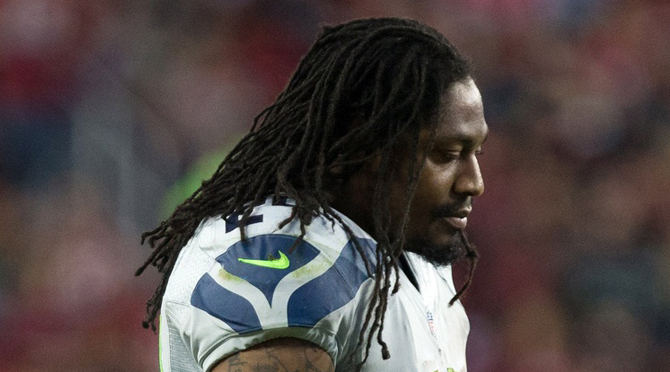 "If you're serious about getting those shoes, here's some money to help you get 'em," Lynch allegedly said, handing Downs $500. Downs told TMZ that he went out and bought the sneakers with the help of Lynch's personal donation. 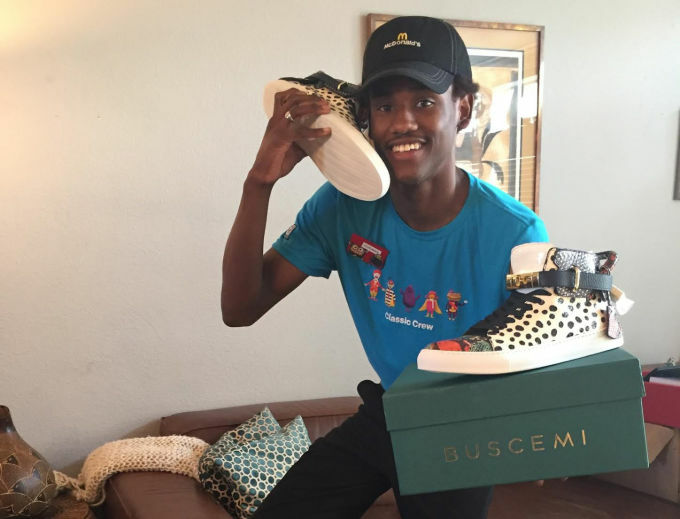 UPDATE 11/14: Terrence Downs' memorable week got even better when Buscemi actually sent him a pair of the "Multicolor Elaphe" 100mm sneakers he saw Lynch wearing free of charge. The model actually retails for $1,950, making his come up that much more impressive.